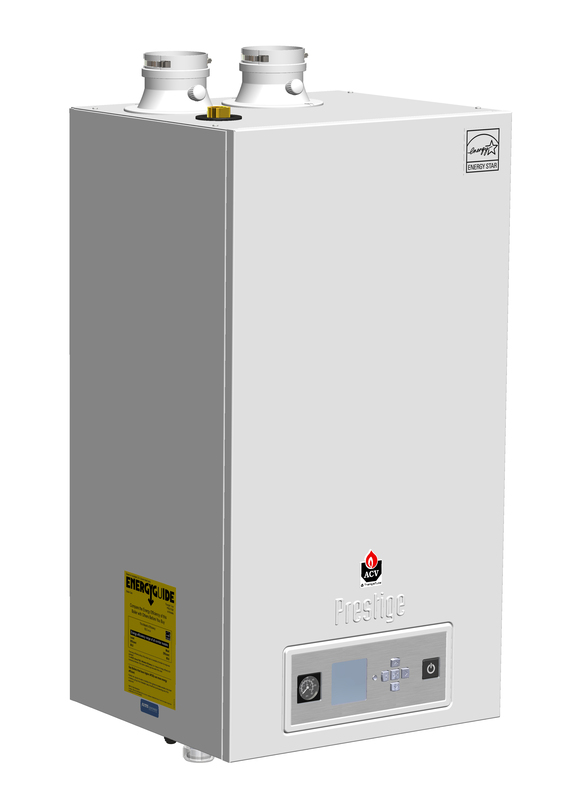 The flagship line of premium condensing firetube gas boilers has been updated, adding 2 new models (155 and 299), and replacing the 60 with an 80. The Prestige boiler continues to feature the uniquely designed stainless steel heat exchanger and boasts 95% efficiency across the entire range. The Prestige has the capability to modulate with a turndown ratio of up to 5.5:1. This modulation means the boiler will alter its firing rate to meet the current demand, causing less cyclic behavior and resulting in lower operating costs. The improved ACVMax Control makes configuration quick and easy with setup in 60 seconds or less for standard installations. For unique installations, the 4 circulator outputs are fully configurable for endless customization.